Mario was born in Rome, but he remembers nothing about it. Mario grew up in Belgium. 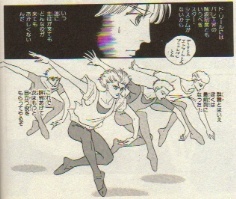 He always performed a leading role at a ballet school. He joins a modern ballet company in Paris together with Didi, Raffaella and Sylvia. They are excited to see the star dancers practicing. Mario looks for a flat to live and becomes a roommate of Levi, who is one of the star dancers in the company. 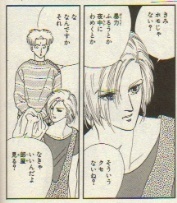 Levi looks at a photo of Mario's family and asks why only Mario is blond in the family. Mario answers he was adopted by his aunt and her husband after his real parents died. Mario wants to have a chance to become a new star. 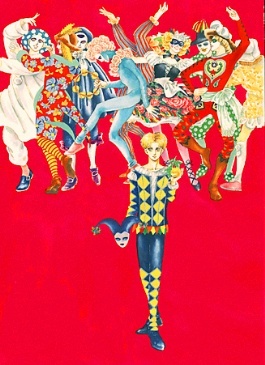 The company performs "Raymonda" modern version. Mario and Raffaella dance in the mob. Didi's role is a minor one at first, but the role changes to be a prince's brother. Didi does a good job. Raffaella looks great on stage. After the stage, Mario escorts Raffaella home. Raffaella tells Mario she was born in Rome and lived there until she was 13. Knowing Mario was born in Rome and he can speak Italian, Raffaella starts speaking in Italian. Mario has never thought she is so talkative. She can express her feeling very easily when she speaks in Italian. After her parents divorced, she moved to Sherbourg with her mother. She had a difficult time there because she wasn't able to speak French and it was too cold in Sherbourg. Mario lived in Rome until he was four. He was adopted and moved to Belgium with his adopted parents and their daughters, Una and Poo. Raffaella says the sky is blue and the rain is warm in Rome. 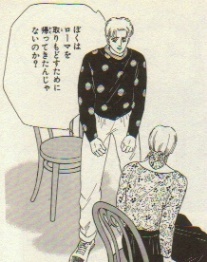 When Mario returns home, Levi tells him there were many phone calls to Mario from Pierre, who is his adopted father. Mario makes a call to him and gets to know Simone, his adopted mother, died. He wants to come back to Belgium right away, but it's impossible until the performance ends. When Mario is crying, Raffaella gives him a call. Levi tells her Mario's mother died. Raffaella comes to stay with Mario. In Brussels, Pierre tells him Mario's real mother Anna is still alive in Rome. Overhearing what her father said, Una comes into the room and says "How could she be still alive? We left Rome because of her!" "What do you mean?" says Mario. Una shouts "Everyone said she would be executed. She killed a man!" and gets out of the room. Mario asks Pierre who Anna killed. He answers she killed her husband, Antonio. He adds it must have been a fair defence or an accident because Anna and Antonio loved each other. Una makes an apology to Mario at the station when Mario is leaving Brussels. She tells him how unhappy she was after the incident. Antonio worked as a painter of houses, but after he had eye diseases he kept staying home. People suspected Anna murdered him to get insurance money. Anna lied to the police. After Antonio died, she washed a bloody rolling pin and cleaned the floor. Then she called a doctor and said her husband slipped and banged his head against the table. Anna was in prison for seven years. When Anna was released, Simone sent a letter with Mario's photo to her. Anna wrote her back that she wouldn't meet Mario again. She asked Simone not to tell anything to Mario. Mario has always been thinking of going back to Rome some day. However, now that he knows what happened there, Rome is the place where a woman that killed her husband for insurance money is living. Raffaella is waiting for him at the station in Paris. They decide to live together. She is very happy to speak in Italian with him. She wants to go to Rome with Mario. She gets a good role for the next performance. Mario gets frustrated because Demi, who is the owner and the choreographer of the ballet company, doesn't give him a good role. Raffaella practices a lot every day for the performance. One day, she comes home late and eats supper that Mario prepared for her. Mario says he wants to speak with her in French because it's not very easy for him to speak in Italian. Raffaella is successful in the performance. In a cafeteria, Mario complains about not getting a good role. Sylvia criticizes him. She says it's no point in complaining and that he should show his talent if he has any. When Mario sees Demi at the studio, Mario shows him a dance that he himself choreographed. Demi gives him a comment on the dance. He advises Mario that he should free his mind in order to get to know his own secret. He also says Mario should believe in himself and look at even negative elements in his mind. Mario is jealous of Didi because he is close to Demi. He doesn't like Didi and Raffaella talking happily in the studio. Mario overhears older dancers say Didi appeals to the audience and that Mario doesn't look good on the stage even though his dancing technique is excellent. Mario gets angry at the old dancers and criticizes them in his place. Raffaella tells him not to care about what they said. 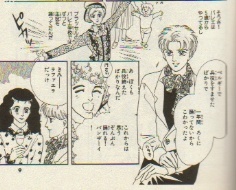 She says everyone knows Mario's an excellent dancer, and that Sylvia and Didi are always being impressed by his dance. He slaps Raffaella because he doesn't want her to talk about Didi. Raffaella slaps him back. She says her father often slapped her mother and she hoped to fall in love with someone very nice. She asks Mario not to be nasty to her. Mario makes an apology. Having a nightmare, Mario wakes up. In the nightmare, someone tells Mario he can't tell anyone about his secret or can't believe in himself because he's an abandoned child. Raffaella worries about him. Even though Mario wants to ask for her help, he can't tell her his mother killed his father. Mario is going to dance a role of one of the goblins in "Phoenix". Didi is going to dance a prince and Demi says lots of strict things to him at lesson. Didi gets down and drinks too much to walk. Mario sends him home. Demi comes into the room and thanks Mario for taking care of Didi. Demi's got a key of Didi's room. Mario thinks it's no wonder he gives Didi good roles. He hopes Didi will fail in the performance. Mario begins to practice eagerly. "I love your arrogant eyes!" says Raffaella. He promises her he won't beat her again. Didi's dance has improved. Even though Mario wants his solo dance to appeal to his colleagues at rehearsal, he slips and fails before them. Raffaella tells him not to care about the failure, but Mario slaps her again. Mario's trembling legs unable him to start dancing again immediately. When he tries to go back to the studio, he sees Levi hugging Raffaella, who is crying. In their place, Raffaella tells Mario she's going to stay alone somewhere else for some days. He gets angry at her. He says Didi has a good role because he sleeps with Demi. "Then why don't you sleep with him?" says Raffaella. Raffaella gets tired and doesn't know what to do. Mario promises he won't beat her or shout at her again. "You've promised it before" says Raffaella. 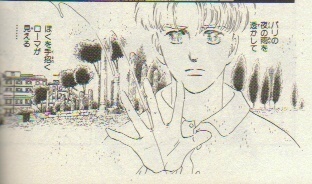 Mario tries to hold her, but she warns him not to come close to her holding a light stand with her hands. Mario shouts "Kill me, or I'll kill you." , and presses her throat. In Mario's mind, someone keeps crying "Stop me!" Mario leaves the room thinking he must kill himself. When he's almost hit by a car, Levi saves him. "I've just killed Raffaella." says Mario. 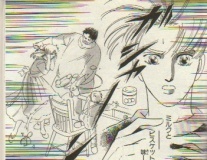 Levi starts running toward Mario's flat with Mario. 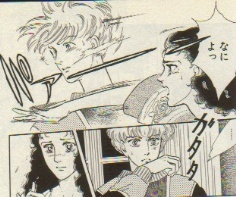 Mario tells Levi that his mother killed his father and that his arm often beats someone in his nightmare. They find Raffaella alive in the flat. Raffaella looks scared of Mario. "You wanted to kill me. You hate me because I speak in Italian, I dance with Levi, and I'm leaving you!" shouts Raffaella. Mario says he loves her, but she says "You don't love me. You don't know how I love you because you've never learnt how to love in your life". Levi takes Raffaella to his place to stay that night. She tells him that Mario and she might break up. Levi tells her about Mario's mother and father. 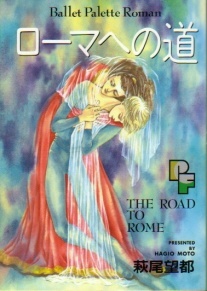 Mario decides to go to Rome and calls Pierre to know Anna's address. Mario is going to visit Anna, who works for a nursing home in Rome. Rome looks as if an old painting. The sunlight, colors of trees and buildings are different from those in Paris or Belgium. He's terrified of meeting Anna. However, he will keep beating someone in his nightmare for the rest of his life unless he meets her. It is her that he wants to beat. Anna serves him milk and biscuit in the kitchen. She says she has no children. Mario regrets he visited her. 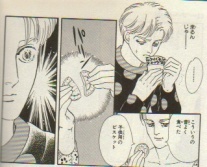 When Anna breaks a biscuit saying "You often ate this kind of biscuit", the sound causes Mario to recall something. He stands up and drops a cup of milk from his hand. "My milk and biscuit�c�cDaddy was beating�c�c. Oh, yes, I was watching�c�cthe cup broke in pieces�c�c..A rolling pin! I beat him! I killed Antonio!" cries Mario. Anna : You mustn't remember that. Mario : My arms do remember. I was there. I killed Antonio. Anna : How could a four-year old boy kill a man? We made a row in front of you. Being drunk, Antonio pressed my throat. You beat his hips or legs with a rolling pin crying, then he tried to beat you. I lost my mind and beat him again and again with the rolling pin until he lay on the floor. You saw me beating him with your eyes wide open. Mario : I don't remember that. Anna : I took you to bed and soothed you for an hour. When I went back to the kitchen after you fell asleep, Antonio was dead. Mario : It was almost an accident. You should've said you beat him to protect me. Anna : I didn't want you to recall it. Mario : You can't forgive me in your mind, can you? Anna : What are you talking about? Mario : I wondered why you didn't want to meet me. I came to a conclusion that I must have done something that you can't forgive me for. Anna : You are wrong. I just didn't want to hurt you. After the incident, you were too shocked to cry or laugh, and you were always throwing up. I heard you got better after you began to live with Simone and her family. It is me that I can't forgive. I robbed you of your father and your life in Rome. I robbed Simone of a stable life. Then I lost everything. Go home and forget everything. Mario : What do you mean "go home"? I've come home here in Rome, haven't I? Haven't I come home to regain Rome? I've tried to forget about the incident since I heard it from Pierre. But how could I forget something that I've once known? I came here because I failed to forget. Don't escape from me. I'm your son. Do you want to abandon me again? Anna : Mario! You've grown up! You were a small boy that I was always holding on my lap. Mario feels he's really come home. He finds Rome and everything that happened there adorable. Raffaella has been waiting for him in Paris. 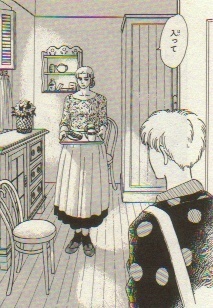 Mario asks her why she waited for him despite that Levi is far nicer. Raffaella can't answer. After Mario dances a goblin in the performance, Demi says to him, "Well done!". Mario is surprised and asks for Levi's comment on his dance. "It was beautiful." says Levi. Mario asks Raffaella why she waited for him even though he made her cry a lot. She answers she waited for him because he was also crying when he made her cry. Mario choreographs a dance for himself and Raffaella to dance. He names it "Pieta". Demi likes it and they dance it in the next performance. Mario wonders when he learnt how to love. He thinks he learnt love probably in the light and shadow on his way to Rome, where his mother lives.